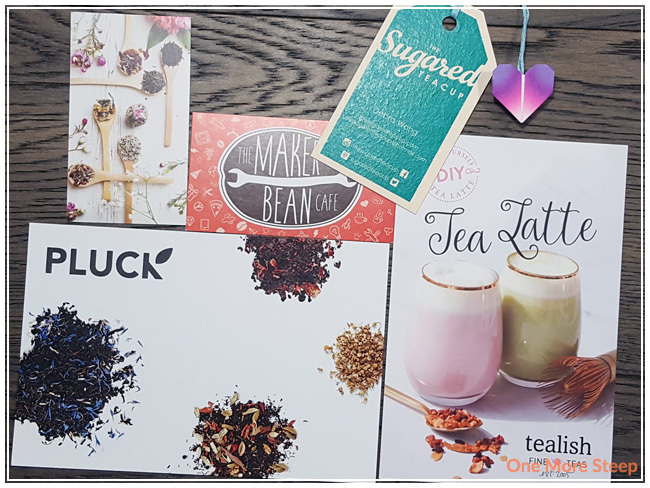 The Sugared Teacup is a curated monthly subscription box by Deb, who I’ve had great pleasure in communication with online prior to purchasing the June and July themed boxes this year. I was really drawn to both the June and July boxes because they were themed for the Canada 150 celebration (and I’m a sucker for all things Canadiana this year!). This review will be centered around the July box, which she entitled True North: With Love from Canada. There were a lot of hand written goodness in this box, including a handwritten card, the story of how The Sugared Teacup came to be, and just cute handwritten notes throughout. Opening this box was like opening up a present that someone made just for me – it was so much fun and I could really tell that there was a lot of thought and care put into each item that was so carefully wrapped and put together. It’s definitely a fun way to treat yourself on a monthly basis. One of the goodies for the July box included one of four wooden tea-themed coasters created by The Maker Bean Cafe. The note said to smell the wood, so I had to! It smells amazing. I wish I had all four though, I love sets of things and I’m keeping my fingers crossed that Deb decides to include the coasters in future boxes or sells them a la carte. Who doesn’t need a good set of tea-themed coasters? The next goodie was this lovely Canada 150 pin. Pins are just very on-trend right now, but I’ve always been a long-time collector of pins and magnets, so this one will fit right into my collection of badges. 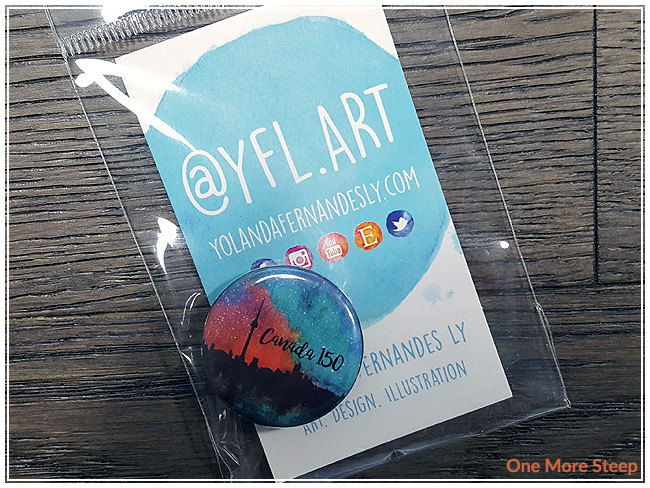 The art is by Yolanda of YFL.ART and includes the very iconic CN Tower from the Toronto skyline. Next up is the teas! I won’t be reviewing the teas in this review (because this is of the box only), but reviews of these teas will be coming up in the coming weeks, so be sure to check back for my thoughts and opinions on these three lovelies: Pluck Tea‘s The Canada 150 Blend (black tea blend), Lemon Lily‘s Summer Splash (herbal infusion), and Tealish‘s Northern Lights (green tea blend). 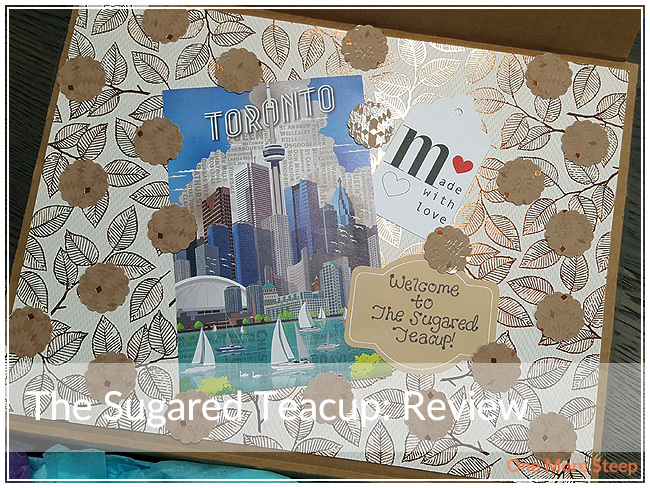 The Sugared Teacup offers local pick-up of the monthly boxes (if you live in Toronto or can get to Toronto…), as well as shipped within Ontario, and the rest of Canada. There’s also a USA option if you’re south of the 49th parallel. The prices vary depending on if shipping is a factor or not. 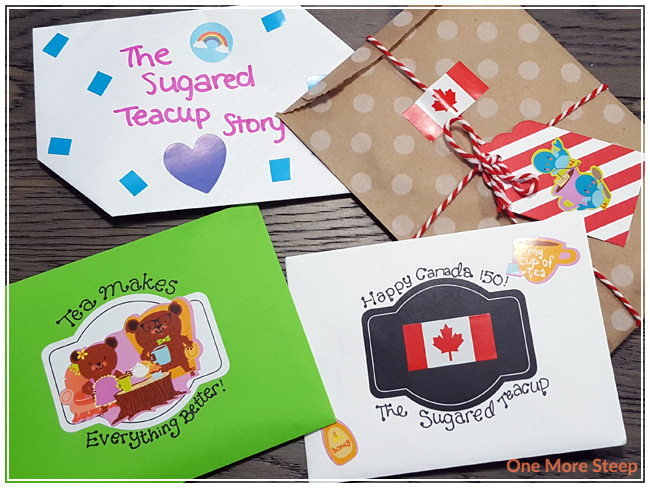 There are 1, 3, and 6 month options when subscribing to The Sugared Teacup. The amazing thing is that there’s so many options for your tea boxes! Deb offers boxes for: black, green, straight green, fruit, herbal/rooibos, mixed, or her Tea Box of the Month. Like I mentioned, just so many options! 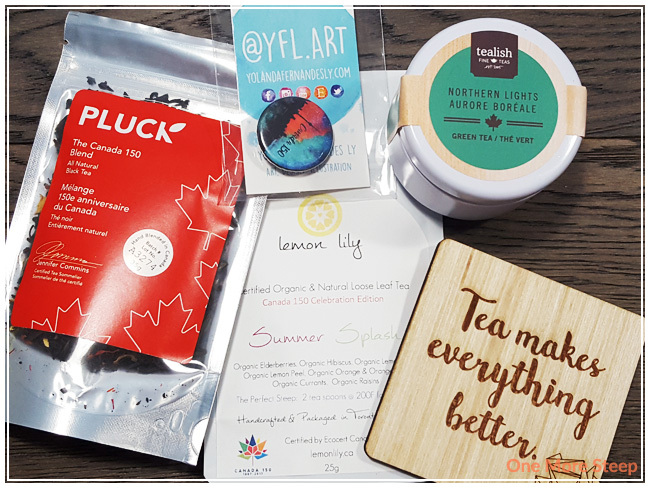 The Canada 150 boxes that I got for June and July fall under the “Tea Box of the Month”, which I just thought were amazing. I think if I were to continue getting The Sugared Teacup boxes, I would definitely opt for the themed boxes because it would really push me to try different teas from companies that I may not have heard of. As it is, I’m really excited to try the teas that I got in both the June and July boxes because the companies are new to me and the teas are also new to me as well. I loved getting my box in the mail. It’s just a lot of fun to open up a well-decorated box that just had so much going on. 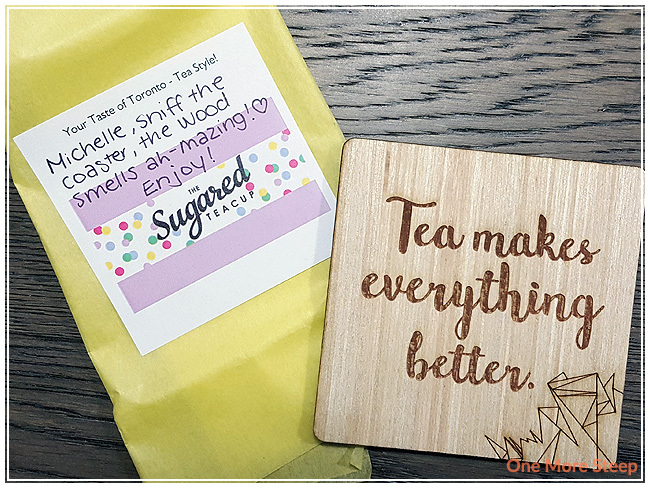 I think that The Sugared Teacup is a fun way to introduce yourself to new-to-you teas, and the personal touches that Deb puts into these boxes are incredibly thoughtful. The Sugared Teacup boxes are just so well put together and the curated collection of teas are just done so well.